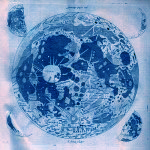 The Moon Project is now an archive of tracks released over the last year which were more or less produced every full moon. There are two ways to listen to the archives. SHORT – This is a Mega Mix of all the tracks hosted on Soundcloud in one fabulous 26 Minute mix. Download from Soundcloud with with button on the right of the player. LONG – The individual tracks are below on their own. Use the retractable player in the lower left to hear a playlist of all them. This runs about an hour. Control Click or Right Click to download and save individual tracks.